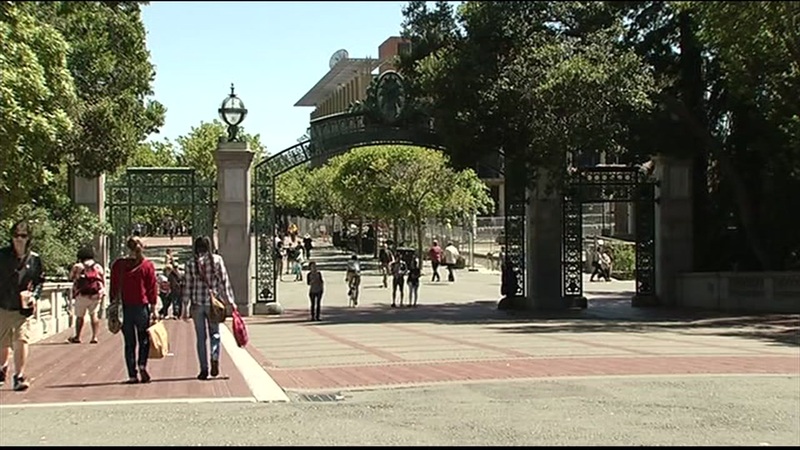 BERKELEY, Calif. (KGO) -- A female student was robbed of a laptop Wednesday evening on the campus of the University of California at Berkeley, police said. Officers responded at 7:10 p.m. after someone reported a robbery at the Clark Kerr Campus Building No. 4, a student housing building. Police said the victim was trying to open an entry door to the building when the robber approached her from behind. The male suspect grabbed the victim's laptop bag from her shoulder, ran toward Dwight Way and got into a car. The car was last seen going east on Dwight Way. Police said they searched the area but did not find the suspect's vehicle or the suspects. The student was not injured. Police said the male suspect was 5 feet 10 inches tall with a thin build and was wearing a black jacket.